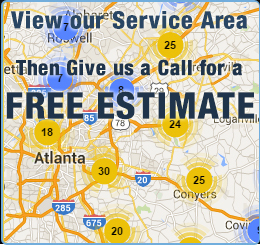 Alpharetta, Atlanta, Buford, Brookhaven, Conyers, Covington, Decatur, Doraville, Duluth, Dunwoody, Fayetteville, Grayson, Greensboro, Hampton, Johns Creek, Jonesboro , Lawrenceville, Lilburn, Lithonia, Locust Grove, Loganville, Madison, Marietta, McDonough, Monroe, Norcross, Peachtree City, Roswell, Sandy Springs, Smyrna, Social Circle, Snellville, Stockbridge, Stone Mountain, Suwanee, Tucker. 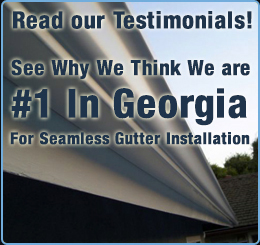 Gutter Works, LLC is a full service residential and commercial rain gutter contractor established in 2000. 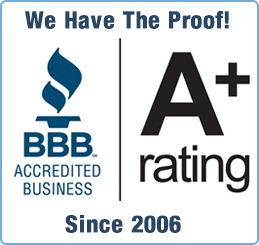 We maintain our A+ Better Business Bureau accredited status by providing the highest quality products and service. Contact us for all your gutter needs. 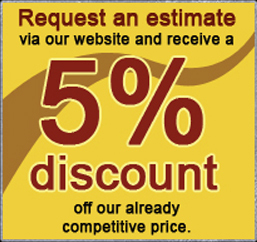 Visit our sister company's website that serves the Emerald Coast, The Gutter Company.